With business current accounts held at banks you have to work the way they specify, which makes simple processes cumbersome and slow. Join the thousands of customers reaping the benefits of integrating accounts & payments within their business software by switching to Nuapay current accounts. Businesses need a safe and secure account where payments both in and out of the business can be controlled, monitored and managed. For centuries traditional banks have fulfilled this role. However regulatory changes have now allowed Nuapay and other Fintechs to provide new, innovative services, opening up an exciting new era of business current accounts. Why doesn’t my account send me an alert when a customer pays so I can ship their goods quickly? Why aren’t my account and CRM systems updated in real time when money arrives? When I run the payroll, why do I have to create a file and send it to my bank? Why don’t payments just happen? With Nuapay, banking and payments become instant and invisible, meaning all these issues disappear overnight. Nuapay lets you tailor your banking to match the way your business wants and needs to work efficiently and cost effectively. As it should be. Account are issued in your name with a unique SEPA reachable IBAN, so you can make and receive payments just like a bank. SEPA Instant live now on your Nuapay account. Make or receive euro payments in real-time. Real-time notification when payment received. Benefit from a fully integrated payment engine, offering data validation, fraud detection, schedules, mandates, alerting and exception processing. Our easy onboarding process gets you going quickly, delivering value from day one and replicating traditional banking procedures when required. Nuapay supports all Account-2-Account payments, including Credit Transfers, Direct Debits, Instant Payments (including SEPA Instant) and Open Banking. Integrate directly with our easy to use RESTful APIs, including web hook alerts, or use our pre-built plug-ins to popular software packages to put banking and payment functionality where it needs to be within your business. The Nuapay operational and control environment has been designed to be hierarchical, allowing more complex account structures to be supported across both real and virtual accounts. Most modern businesses run numerous internal systems that either initiate payments or require data about payments. By unifying this data into an easy to manage hub, businesses can save time, money, and resources and transform their payment process overnight. The most advanced way to do this is through the use of APIs. Integrated APIs are able to link all internal accounts that hold payment related data to the specific payment accounts, streamlining the payment process from end to end. Support for real-time payments and credit transfers, as well as traditional batch payments. Plus 24/7 reporting on all received payments. All aspects of direct debit processing are supported from the signing of a mandate through to automated, diary based, fixed and flexible-amount collections. Open Banking puts customers in control of their data and money, opening up a multitude of opportunities. Most businesses operate with a limited number of accounts through which payments flow. In most cases, improved management and control can be achieved by simply subdividing payment flows into separate accounts. The Nuapay environment supports a range of account structures to achieve this. One Nuapay account is considered as the main account. Linked to this account is an arbitrary number of other accounts, each with their own IBAN or account number. Users can be given access to the sub-accounts with defined rights, while users of the main account can control or view the sub-accounts. It can prove difficult to identify the payer of electronic payments. To solve this, Nuapay provides customers with a unique account to pay into, instantly resolving identification as well as generating real time alerts when funds are received. For business operating a market place with many merchants, each merchant is allocated their own account. The operator then simply manages the money flows, distributing funds to the correct merchant and collecting fees. Accounts at all levels can initiate and receive payments. Funds can be held within the sub-accounts or be consolidated in the main account. For business models involving the processing of payments on behalf of others, Nuapay issues Virtual Accounts to each customer, greatly easing the management process and maximising control. 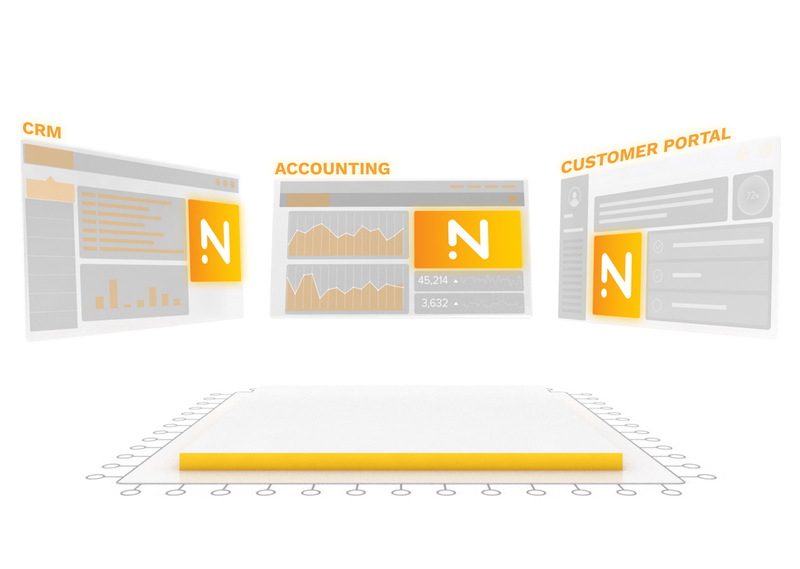 For businesses with a number of divisions each operating their own account, Nuapay supports easy management with overriding visibility and control.